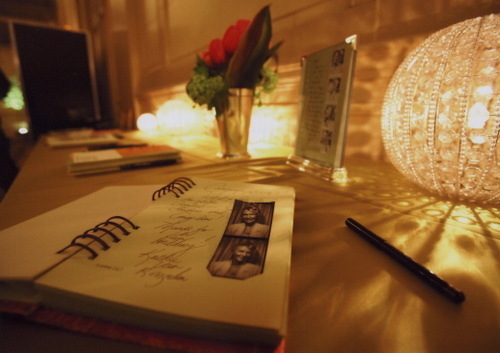 At this wedding, a vintage film photobooth was enjoyed all evening by guests. Guests were asked to put at least one of the takes into the guest book along with their wishes for the bride and groom. Photo courtesy Eric Cable.